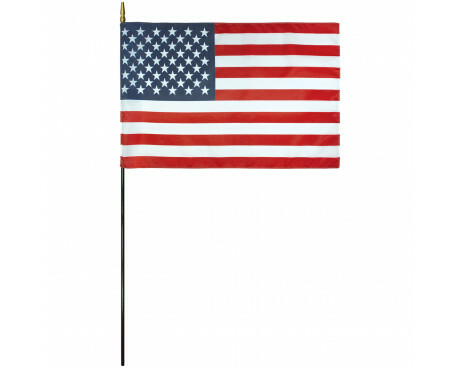 American made indoor American flags are available in a variety of types and styles. 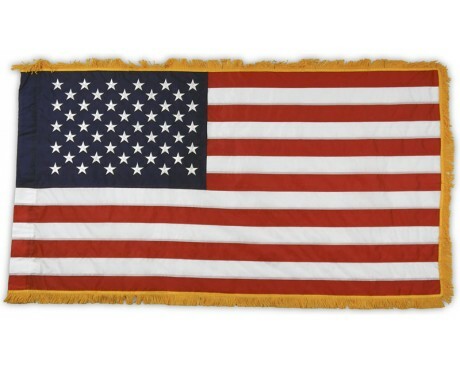 Whether you are decorating a formal office space, a school classroom or just looking for a beautiful flag to hang on your covered porch, we've got the perfect flag for you. Presentation sets add a timeless, patriotic element to any decor. For your school auditorium, formal office or any other freestanding display we recommend our American Indoor Flag Set. It's available in several heights and flag sizes to fit your space. 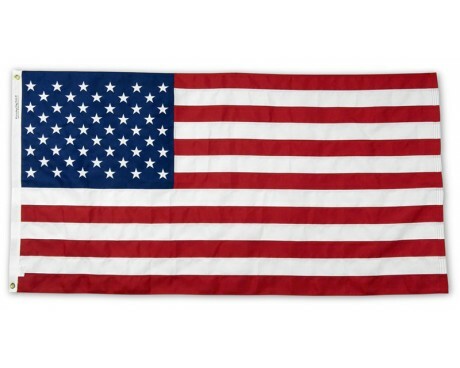 If you are decorating a military office or want a more impressive look, our American Government Specification Indoor Flag Set may be the perfect solution. 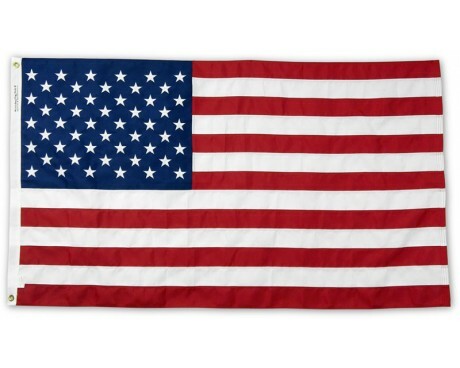 The flag on the government spec set is an official government sized flag, not the modified sized flag readily available on the market. 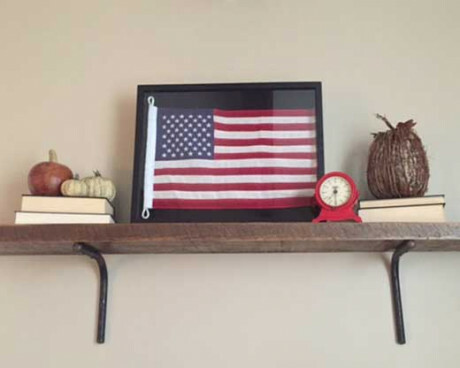 For a truly stunning indoor display set, choose the American Flag with Fringe and pair it with the mahogany hardware found in our Indoor Hardware section. This is a unique look to match a beautifully furnished interior. 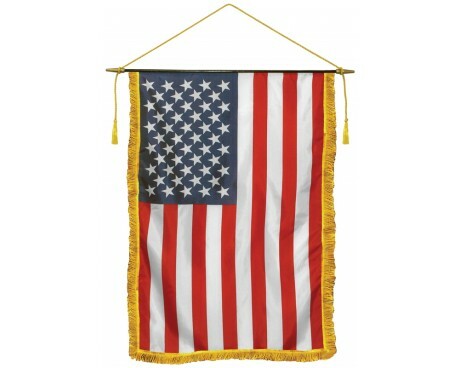 Our indoor American flag sets are also made for use as parade flags. Leave the base at the car and the set is ready to go. Each set includes the flagpole, hardware, finial, fringe, cord and tassel and American flag. 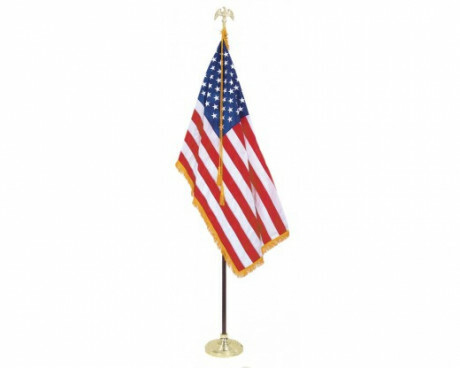 Complete flag sets are available with other flags or as mounting hardware only in our flagpole section. The classroom flag and banner options here are made with a fine printed polyester. They are mounted on wooden dowels for easy display in your classroom or even in your home. Hardware for mounting your classroom flag is available separately. Cotton wasn't always considered an indoor fabric for flags but over the years, weather resistant fabrics have come a long way. Today, a cotton flag isn't recommended for use out in the weather because it takes a long time to dry and isn't as durable as the nylon and polyester flags of today. Cotton American flags are still made for tradition and beauty. The 5x9.5' casket sized flag used to honor our American soldiers is always a cotton American flag. Find All The Indoor Flags and Display Accessories You Need Right Here! 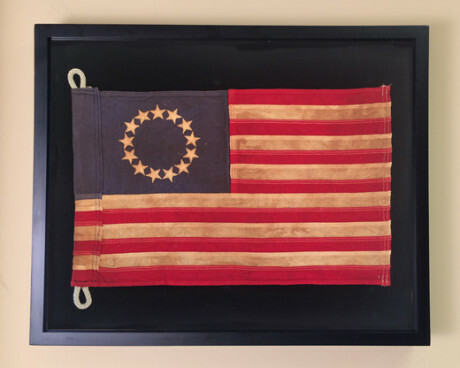 At Gettysburg Flag Works, we're proud to offer a wide variety of indoor American flags as well as a plethora of hardware and accessories for displaying them. All of our products are affordably priced and made of quality materials you can depend on. Shop our selection for everything you need today! Not sure which indoor American flag is right for you? Give us a call at 1-888-697-3524 or contact us online and we'd be happy to help you find the ideal flag to suit your needs.